Istanbul's governor, Ali Yerlikaya, said Thursday the search for survivors would continue "uninterrupted". 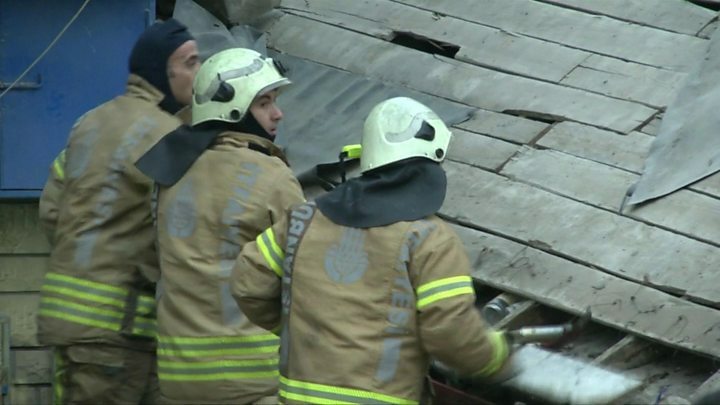 Overnight, emergency services rescued a nine-year old boy from the debris of the building that collapsed on Wednesday afternoon. Zeki Dag, the local district administrator, told CNN-Turk television that more than a dozen families were living in the building. "We are continuing with our search and rescue efforts so that we can deliver good news [about survivors]". So far, three people have died, and 13 were injured, all now in stable condition, according to officials. The death toll from a building collapse in Istanbul has climbed to 14 after several more bodies were recovered, Interior Minister Süleyman Soylu said Friday. Broadcast images showed her blinking as she was carried out on a stretcher, wearing a neck brace, to a waiting ambulance. Twelve people have been rescued from the rubble of the building that collapsed on Wednesday in Istanbul's Kartal neighbourhood, south of the Aydos Forest, on the Asian side of Turkey's largest city, Efe news reported. He added that the basement factory was also operating without a business license. Authorities said the top three floors had been illegally built. Seven buildings around the collapse site have been evacuated for security reasons.